Updates to Pamela Jean "Pam"'s profile since your last visit are highlighted in yellow. Let us know your current occupation; or if you have retired, how are you spending your time? Want to share what you've been up to since you graduated? 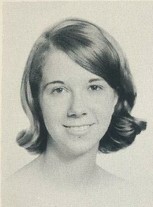 Pamela Jean "Pam" Kope Small has a birthday today. Pamela Jean "Pam" Kope Small updated her profile. View. Pamela Jean "Pam" Kope Small posted a message. New comment added.